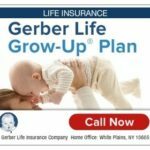 As a parent or grandparent, you can ensure the little ones who mean so much to you will enjoy practical insurance benefits that can be a big help to them later in life, The GROW-UP Plan® is a whole life insurance policy designed for healthy children ages 14 days through 12 years. Enjoy with your child today without thinking about his/ her future! !